Cricket: The New Reality Show! Everything is fair in love, war and now cricket. The scheming plans of Malcom Speed have never been so evident as they are today. The game plan was laid even before the match, so it seems. There is every likelihood that Mike Procter was pressurized into banning Harbhajan Singh, at the behest of Malcom Speed and his plans. It was amply clear to the match referee Mike Procter that no one had heard or seen Harbhajan Singh slurring any racial comments, he has been accused of. This lack of evidence amounted to a situation and case in point where there entire outcome depended on the testimony of the very set of players levying the accusation. As a matter of fact there were not sufficient grounds for a strong case against Harbhajan. But then also Mike Procter went ahead with the whole case and handed out a penalty solely on the basis of the accusers allegations. But why did a seasoned professional like Mike Procter do something like this? If you dig a little deeper you'll find that Mike Procter was on a receiving end of the out lash when he failed to take any action against Yuvraj and was even made to apologize in front of everyone for his inaction. This led to a Catch-22 situation whereby he was constantly being rushed into taking stern actions against Indians. But the question remains why is Mike Procter being manipulated and forced into things which he is not convinced about. Or is that Malcom Speed has got an agenda up his sleeves. There is more than what meets the eye. The next president of ICC is slated to be from India . And may be Malcom Speed can not imagine that Sharad Pawar dethrones him to claim this post. Let's not forget that cricket is a big Money Game, a Cash Cow which survives on betting, sponsors and audience. India went as a favorite in the match but by the second day of the Test there situation was not so comforting for Australia as there rates in the market were low. But even then millions came riding on Australia ¢s back on the second day, from all around the world. May be whatever we feel and see so close to our heart, is in the end just another precedent Where Money Talks, Money Walks. All the emotions notwithstanding, things happen for a reason. And Money is a reason Big enough. May be Steve Bucknor was also a part of the system. For the first time in the history of cricket even the third umpire gave an erroneous decision which pushed India into a defeat. And that decision was just one of such horrendous decisions. An unprecedented match like this has left many questions unanswered and warrants deeper introspection. The country which ruled the last decade in cricket stands isolated, with their image tarred and integrity questioned. A team of professionals which took cricket to new heights is left out tarnished in cold trying to grapple with a growing public opinion against it. Australia will have to think and think hard. Have they been forced to resort to unscrupulous means to achieve their ends? Are they losing their edge and the No.1 slot? Are the Glory Days starting to fade? Whatever Australia may think and ponder over, but the fact remains that their professional image has taken a severe irreparable beating. As far as India is concerned, things like this are not new, as India as well as other Asian countries has borne the brunt of a ruthless Aussie spirit. Its high time BCCI takes the onus of vindicating the Asian countries from the muck and take it to a pedestal which they deserve. Pakistan , Sri Lanka and Bangladesh should step out and stand together in this mammoth effort to redeem itself. 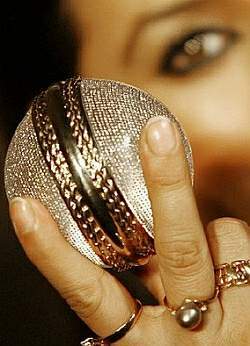 There won't be a moment in cricket history as favorable as this for the BCCI to take the reigns of the world cricket. The moment is waiting and would be gone soon. The moment is yours to claim.